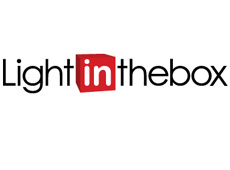 1 LIGHTINTHEBOX REVIEW: IS IT A RELIABLE SITE? 1.1 LIGHTINTHEBOX REVIEW: WHY BUY ON LIGHTINTHEBOX.COM? 1.2 LIGHTINTHEBOX REVIEW ABOUT THE QUALITY OF THE PRODUCTS AVAILABLE ON THIS SITE. 1.5 LIGHTINTHEBOX, WISH OR JOOM. WHICH CHINESE SITES TO CHOOSE? LIGHTINTHEBOX REVIEW: IS IT A RELIABLE SITE? You may have heard or seen an ad for Lightinthebox? Created in 2007, this site is already very popular. Ranked 6219th site in USA, according to the Alexa ranking. It is also very famous around the world and offers many different products. How does it work? Is it reliable? Find all the answers in our Lightinthebox Review. LIGHTINTHEBOX REVIEW: WHY BUY ON LIGHTINTHEBOX.COM? LITB is one of the oldest Chinese online shopping sites. Since 2007, it has continued to grow. Because of its experience it can be considered as one of the most reliable sites to order products from China. One of the strengths of Lightinthebox, like Gearbest, is that it is not a marketplace. In other words, it is not sellers who post ads, take care of delivery and follow-up. On Lightinthebox you will find products that lightinthebox itself has in stock. They have a quality control and a more reliable service than some marketplace like Aliexpress for example. LightInTheBox accepts payment via Paypal. This allows you to buy online safely, with a platform synonymous with trust. Indeed, Paypal plays the role of intermediary which protects the buyer. In addition, other secure means of payment are also available such as credit card payment, Western Union or bank transfer. In addition, your personal information is protected by the https protocol. One of the great assets of Lightinthebox is that it is totally in English, and in more than 20 different languages, such as French, Spanish, Portuguese and Italian. This makes it easier for all the people to understand. In addition, LightInTheBox.com also offers the drop shipping system. It is intended for small businesses, retailers and independent resellers. It is a system that allows you to make orders to the unit, delivered directly to your customers. LightInTheBox.com offers you a quality service and products at the factory price. Buy on LightInTheBox is simple, safe and affordable. This may interest a retail trader looking for cheap and better products, or a specialized e-shop developer. LIGHTINTHEBOX REVIEW ABOUT THE QUALITY OF THE PRODUCTS AVAILABLE ON THIS SITE. You will find all kinds of products on LITB. Electronic products, fashion and beauty products, gadgets and Chinese brands. The quality of the products on Lightinthebox is very variable because they are products from China, you have to be very careful about what types of products you buy and remember to read the notes and notices about this product. Given the price of some products, the quality can sometimes disappoint you, add to the price of customs fees possible and it does not become very profitable compared to Aliexpress which offers the same product but buying direct from the manufacturer. We recommend fairly simple products or products of famous Chinese brands. For non-branded products, this is where you may have some problems in terms of quality. Attention to clothing, sizes sometimes do not have the same standards as in USA and Europe. Take the time to inquire about sizes before ordering. As for the price, LITB offer very competitive prices compared to the competition. Many cases are available on this site. You have the choice between 4 different methods of delivery. Shipping times and delivery rates vary depending on your order (size and weight of the package). First of all, the cheapest of these shipping methods is the “Global Postal Service-Tracking“. Less expensive than all other delivery services, this method allows you to receive your products in 9 to 20 business days, which is roughly equivalent to a period of 2 weeks to 1 month. The “Global Postal Service- Tracking” is not much more expensive and allows you to track your package until delivery! The tracking costs you between $0.57 and $4.57 in general, according to your order. Delivery time is relatively the same as delivery without tracking. To receive your order more quickly, you can also choose the “Global Expedited Postal” provided by EMS or other specialized global e-commerce shipping couriers. With this option, you receive your order within 5 to 8 business days, that is to say in less than 2 weeks. “Local Standard” is an intermediate solution: products are shipped from LightInTheBox’s USA warehouses. Nevertheless, not all products are available from these stocks. If this is the case, it is indicated in the product sheet and the option is offered to you at the time of validating your order. Finally, if you are really in a hurry, you can also opt for the “Global Expedited Express” by private carrier: it is DHL, UPS, FedEx or TNT that ensure the delivery of your package in 3 to 4 business days. It is the most expensive means of delivery, but also the fastest! Be careful though, this method of delivery often causes customs fees and additional taxes that you must pay to recover your package (even if it is not systematic). Although LightInTheBox is based in China, the company has taken care to set up a professional and efficient customer service. However, as with all the other Chinese Online Stores, some users have had bad experiences. And sometimes you have to fight a little to get a refund. Except for made-to-order items – such as custom wedding dresses – all products can be returned within 14 days if you are not satisfied. Of course, they must be returned new and in their original packaging. If there is a problem, you can contact LightInTheBox customer service. How to do it? Go to the “My Orders” tab of your LightInTheBox account. You will find the details of each of your orders. From these panels, you can ask customer service for an order you have placed. Customer service usually responds within one business day (excluding weekends and holidays). Do not hesitate to contact them to resolve your problem as quickly as possible. LIGHTINTHEBOX, WISH OR JOOM. WHICH CHINESE SITES TO CHOOSE? In many scenarios we will favor the use of Aliexpress to buy our products from China. By cons some products may be more interesting on LITB, including clothing. In addition, some products may be slightly cheaper than other sites.